AmericanFlags.com features USA stick flags for grave markers, parade routes and for other decorating purposes. 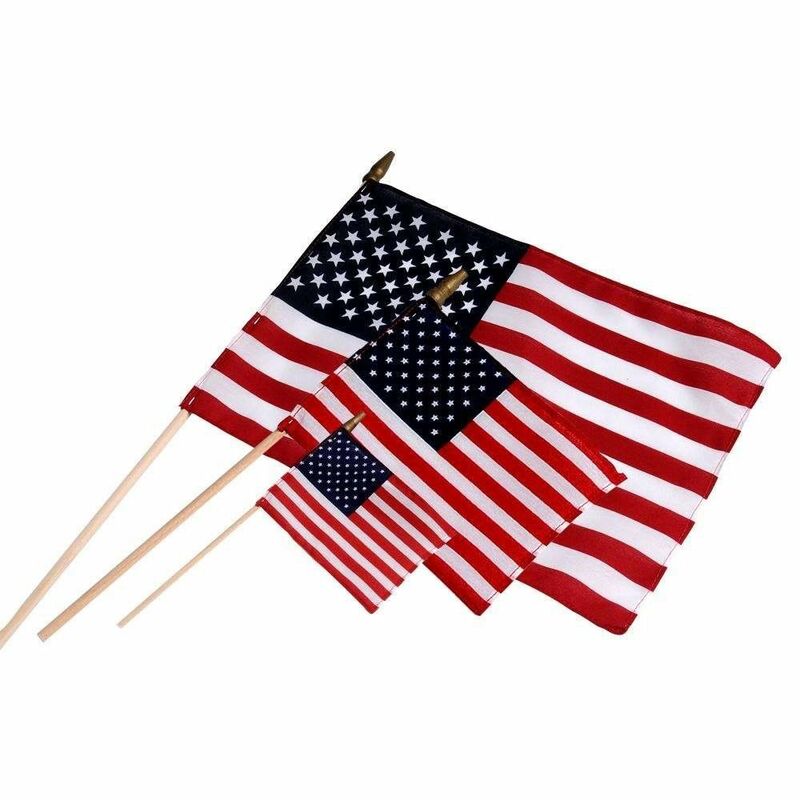 Our handheld and in-ground American flags are economical, proudly made in America and come in a wide variety of popular sizes. We are pleased to offer volume discounts - the more you buy, the more you save!